New renders: What will the LG G8 ThinQ delight in? 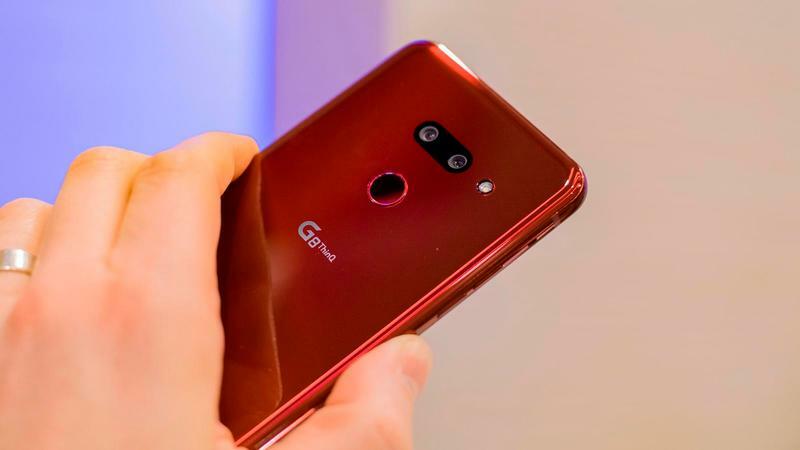 Insiders have demonstrated new renders of the LG G8 ThinQ flagship phone. In this regard, users began to wonder what pleases the novelty. And, it seems, the information providers have an answer to this question. After all, they not only showed the appearance of the device, but also talked about its characteristics. The design of a smartphone will look quite different if compared with its predecessor. Developers equipped the device with a widescreen screen and a small “monobrove”, designed for the front camera. Unfortunately, in the lower part of the phone there is a “chin”, and quite significant. The back of the device comes with two main camera modules, a flash, and a round neck under the fingerprint reader. In addition to the standard buttons there will be one extra, with which users will be able to call the voice assistant of Google Assistant. Note the presence of the popular USB-C port. According to preliminary data, the flagship device will receive an OLED display with a diagonal of 6.1 inches, while it will replace the standard speakers – the sound will be transmitted directly through the screen. The heart of the smartphone will be the latest generation of Snapdragon 855. It is noteworthy that the developers have provided a sensor that allows you to create a 3D model of a person that provides increased security. The flagship will be presented during the MWC 2019, which will take place in the capital of Catalonia. Estimated cost of the novelty will be $ 900.